Though the exact cause of osteoporosis is unknown, we do understand how the disease develops. Your bones are made of living, growing tissue. The inside of healthy bone looks like a sponge; this area is called trabecular bone. An outer shell of dense bone wraps around the trabecular, or spongy bone. This hard shell is called cortical bone. When osteoporosis occurs, the “holes” in the “sponge” grow larger and more numerous, which weakens the inside of the bone. In addition to supporting the body and protecting vital organs, bones store calcium and other minerals. When the body needs calcium, it breaks down and rebuilds bone. This process, called “bone remodeling,” supplies the body with needed calcium while keeping the bones strong. Gender — Women over the age of 50 or postmenopausal women have the greatest risk of developing osteoporosis. Women undergo rapid bone loss in the first 10 years after entering menopause, because menopause slows the production of estrogen, a hormone that protects against excessive bone loss. 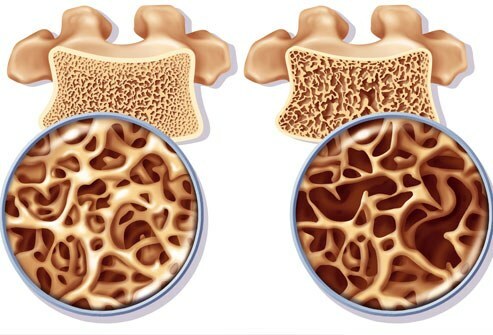 Age — Your risk for osteoporosis fractures increases as you age. Race —Caucasian and Asian women are more likely to develop osteoporosis. However, African-American and Hispanic women are still at risk. In fact, African-American women are more likely than white women to die after a hip fracture. Bone structure and body weight — Petite and thin people have a greater risk of developing osteoporosis because they have less bone to lose than people with more body weight and larger frames. Family history — If your parents or grandparents have had any signs of osteoporosis, such as a fractured hip after a minor fall, you may have a greater risk of developing the disease. Nutrition — You are more likely to develop osteoporosis if your body doesn’t have enough calcium and vitamin D.
Lifestyle — People who lead sedentary (inactive) lifestyles have a higher risk of osteoporosis. Medications — Certain medications cause side effects that may damage bone and lead to osteoporosis. These include steroids, treatments for breast cancer, and medications for treating seizures. Smoking — Smoking increases the risk of fractures. Read The Most Effective Stop Smoking Aids. Alcohol use — Having one to two drinks a day (or more) increases the risk of osteoporosis. Painless and accurate medical tests can give you information about your bone health before problems begin. Bone mineral density (BMD) tests, or bone measurements, also known as dual X-ray absorptiometry (DXA) scans, are X-rays that use very small amounts of radiation to determine the bone density of the spine, hip, or wrist. Your physician can order these tests for you. All women over the age of 65 should have a bone density test. The DXA scan is done earlier for women who have risk factors for osteoporosis. Men over age 70, or younger men with risk factors, should also consider getting a bone density test. Your diet and lifestyle are two important risk factors you can control to prevent osteoporosis. Replacing lost estrogen with hormone therapy also provides a strong defense against osteoporosis in postmenopausal women. To maintain strong, healthy bones, you need a diet rich in calcium throughout your life. One cup of skim or 1 percent fat milk contains 300 milligrams of calcium. Besides dairy products, other good sources of calcium are salmon with bones, sardines, kale, broccoli, calcium-fortified juices and breads, dried figs, and calcium supplements. It is best to try to get the calcium from food and drink. For those who need supplements, remember that the body can only absorb 500 mg of calcium at a time. You should take your calcium supplements in divided doses, since anything more than 500 mg will not be absorbed. If you find it difficult to obtain the recommended amounts of calcium through diet alone, your physician may recommend a combination of foods rich in calcium and a low dose calcium supplement as a good strategy for you. The product label should state the amount of elemental calcium in each tablet, e.g., 300 mg of elemental calcium in a 750 mg tablet of calcium carbonate. The amount of elemental calcium is the figure you use to calculate your true daily intake from a supplement. The most expensive preparations are not necessarily better. Costs will vary among brand name products and similar generic supplements. Prices may also vary with the amount of elemental calcium per tablet. Compare brands and prices. For some, calcium supplements may cause stomach upset, constipation or nausea. Try different brands or forms, e.g., gelatin capsules, chewable calcium or effervescent tablets, to find a suitable product for you. Calcium citrate may be a good alternative to calcium carbonate. Product Number) numbers have passed these tests. If you have any doubts, ask your pharmacist to recommend a good calcium supplement for you. Some calcium tablets are very large and may be difficult to swallow. If this is a problem for you and you can’t see the tablet through the bottle, ask your pharmacist or sales person about tablet size. You may wish to inquire about chewable or effervescent tablets or calcium in a gelatine capsule form. In addition, calcium tablets that also contain vitamin D tend to be larger in size. If size matters to you, take your calcium and vitamin D separately rather than in a combined form. Take calcium carbonate with food or immediately after eating. It is absorbed more effectively when there is food in the stomach. Calcium citrate, calcium lactate and calcium gluconate are well absorbed at any time. Take calcium with plenty of water. Take no more than 500-600 mg of elemental calcium at one time. In fact, it is best to take smaller doses more frequently rather than large doses once a day. Antacids are an acceptable source of calcium. The calcium in these products is calcium carbonate and should be taken at mealtime for better absorption. Only take a calcium supplement if your doctor has advised you to do so. Unless you are very confident that you are taking the correct dose, show your bottle of calcium to your doctor or pharmacist to be sure that you are not taking too much calcium, which may be harmful. If you change the brand of calcium supplement you are taking, you may need to show the new bottle to your doctor or pharmacist again, to make sure that your dose of calcium has not changed. Vitamin D is also important because it enables the body to absorb calcium. The recommended daily allowances of vitamin D are listed below. Vitamin D can also be obtained from sunlight exposure a few times a week or by drinking fortified milk. There are very few food sources of vitamin D. In fact, it is impossible for adults to get sufficient vitamin D from diet alone, no matter how good their nutrition. Therefore, you should have a routine of vitamin D supplementation all year round. Healthy adults between19-50 years of age, including pregnant or breast feeding women, require 400 – 1,000 IU daily. Those over 50 or those younger adults at high risk (with osteoporosis, multiple fractures, or conditions affecting vitamin D absorption) should receive 800 – 2,000 IU daily. These amounts are safe. Taking more than 2,000 IU of vitamin D daily should be done only under medical supervision. The best way to ensure that you are getting sufficient vitamin D is by taking a supplement. The type of vitamin D you should purchase is vitamin D3 (also called cholecalciferol). This is the most common type of vitamin D found in supplements. Vitamin D by itself comes in 400 and 1000 IU tablets. Most multivitamins contain some vitamin D but the amounts vary quite a bit, so be sure to read the small print on the label carefully. Some calcium supplements also contain vitamin D3 and again the amounts vary. If you are unclear how much vitamin D your supplements contain, please check with your pharmacist. There is something special about Vitamin D that does not apply to most other vitamins or supplements. Vitamin D is fat soluble. This means vitamin D can be “made up.” If you miss your vitamin D today, for example, you can take double the amount tomorrow. If you miss your vitamin D for a whole week, you can take all the vitamin D that you missed altogether at the end of the week. However, you shouldn’t do this on a regular basis without consulting with your physician and this can only be done with vitamin D. It cannot be done with other medications or supplements. Ask your doctor for more detailed handouts to learn about getting the right amount of calcium and vitamin D. In some cases, your doctor might recommend higher doses of vitamin D.
Lifestyle — Maintaining a healthy lifestyle can reduce the degree of bone loss. Begin a regular exercise program, and don’t use too much alcohol and tobacco. Exercises that make your muscles work against gravity (such as walking, jogging, aerobics, and weightlifting) are best for strengthening bones. Women whose bone density test shows T-scores of -2.5 or lower should begin therapy to reduce their risk of fracture. Many women need treatment if they have osteopenia, which is bone weakness that is not as severe as osteoporosis. Your doctor might use the World Health Organization fracture risk assessment tool, or FRAX, to see if you qualify for treatment based on your risk factors and bone density results. . People who have had a typical osteoporosis fracture, such as that of the wrist, spine, or hip, should also be treated (sometimes even if the bone density results are normal). 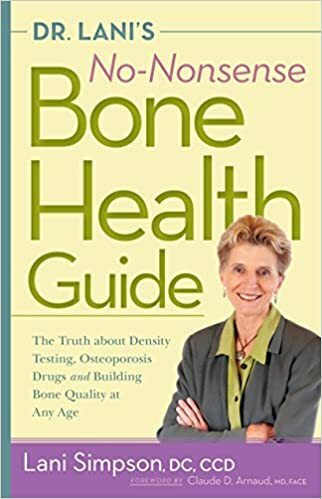 Part whistle-blower book, part bone health bible, Dr. Lani’s No-Nonsense Bone Health Guide is the first consumer book to expose the shocking difficulty of getting an accurate bone density reading and the serious risks of long-term use of osteoporosis medications, which are often prescribed based on inaccurate readings. 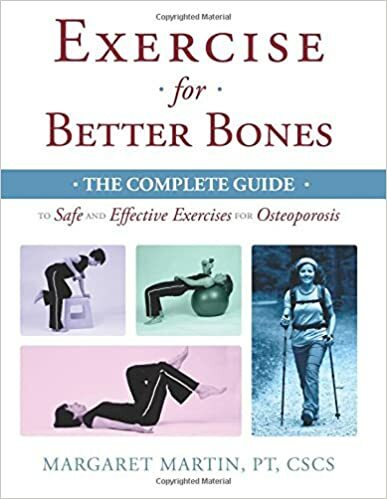 In addition to this vital information about bone density testing, Dr. Lani Simpson cuts through the confusion and inaccuracies surrounding osteoporosis and explains what readers can do now to build and maintain healthy bones for life. Dr. Simpson shares her well-rounded, whole-body approach to bone health, including discussions of digestive health, diet, supplements, exercise, and how aging affects the bones. Readers learn surprising facts about what foods and medicines might hurt bone health and which ones will help build strong bones. Also included is a thorough discussion of calcium supplementation and how to do it right. 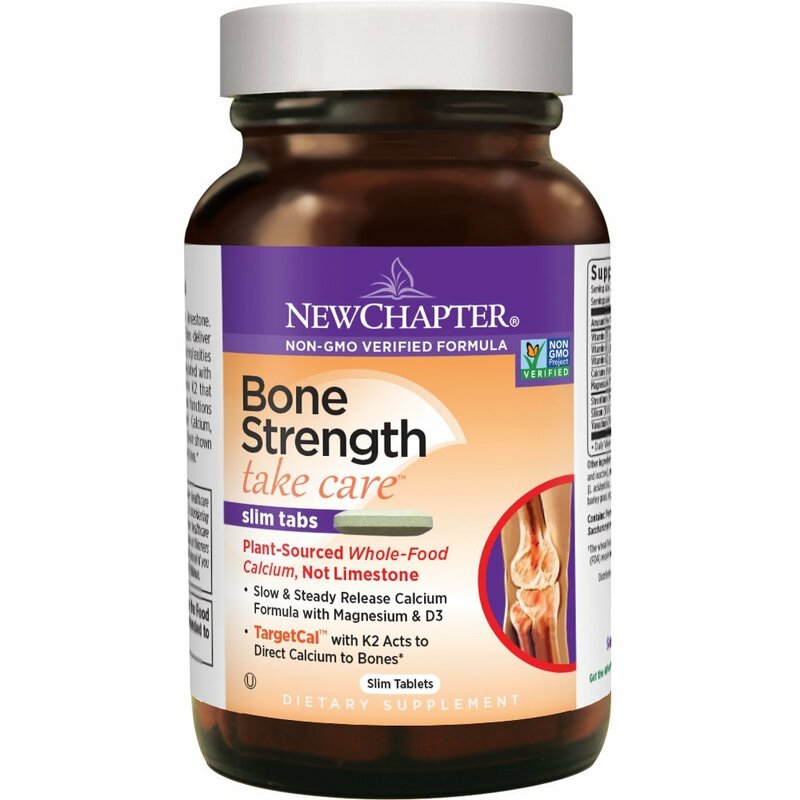 Dr. Lani’s No-Nonsense Bone Health Guide is the key to long, healthy, fracture-free golden years.